The Google Plus Stream is the lifeblood of Google+. It enables sharing of information to Circles and has a lot of the characteristics of Facebook’s status updates. You can share ideas, status updates, photos, videos, links and your location (if you really want to!). You can see that yet again Google Plus is deadly serious about giving you control over your privacy by allowing you to determine the desired distribution for each post. 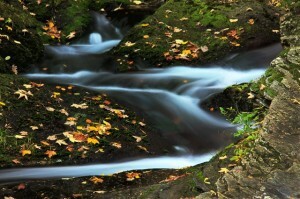 What should you share in your Google Plus Stream? I have discussed what types of content you can share in your Google Plus Stream, but what exactly should you share? The fundamental rule to remember is that your Stream on your personal Google Plus page should be about CONVERSATION NOT CONVERSION! If you indulge in a constant sales pitch, you will be very quickly dumped from multiple circles (…and defeat the whole purpose of using the Google+ network, which is to expand your contacts). So your purpose in posting to the Google Plus Stream is to share something of yourself, enhance your personal branding and provide content that others find useful or appealing and are inspired to share in their own Circles. In this way, your posts will have a viral effect. The central Stream on your Google Plus Homepage is the accumulation of all the posts from people in your Circles (who included you in their distribution when sharing). If you want to ‘like’ a post there are a number of ways to do this. Included in the options mentioned in the previous section of this post is an option “Link to this post” which enables you to copy the link for the post and share it with others (it is mystifying why this option is inlcuded with the other “dislike” options). +1 – indicates you really like the post and want to save it to your ‘favorites’ (this is an expansive topic and will be the subject of a separate post). Comment – see below for further elaboration. Share – with Circles that you specify when you click on this option. Hang Out – Chat with the originator and others you choose to include (more on this in another post). I have previously discussed at length how to comment on social media content in such a way as to build a positive online profile and brand image. 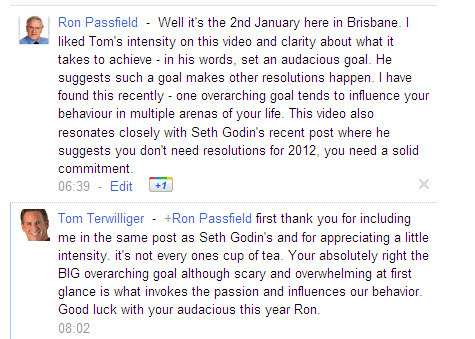 The same principles apply when commenting on posts in your Google Plus stream. So to reiterate, the primary principle behind your sharing through the Google Plus stream must be to focus on conversation not conversion.